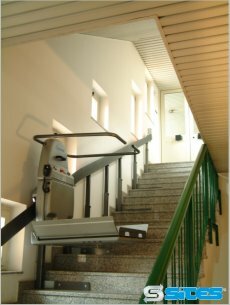 ArcoLift Platform Stairlift allows users to deal with changes in levels ranging from a few steps to a number of floors. 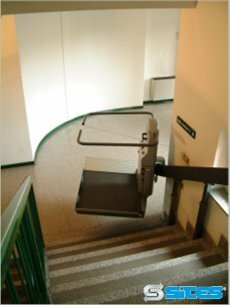 It can be installed on any type of staircase, whether straight or curved, with both internal and external curves. 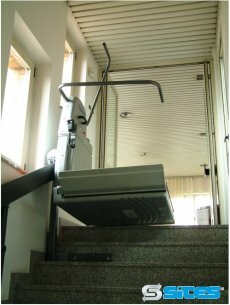 The motorisation of the platform and the handles make it easy and safe to use for wheelchair users. 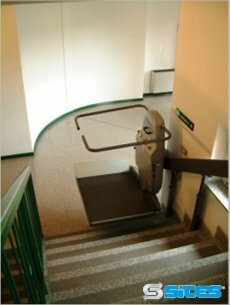 The motorised ramps with anti-slip relief finish are designed to reduce the slope to a minimum where it connects with the floor. 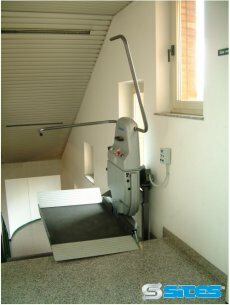 The motorised platform and handles can be folded away to reduce the size of the device to a minimum and avoid creating obstacles on the stairs. 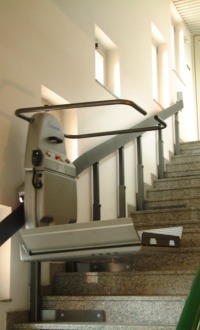 ArcoLift Platform Stairlift is equipped with safety shock devices on the ramps, under the platform and on the machine body, a safety feature that also benefits others using the stairs. 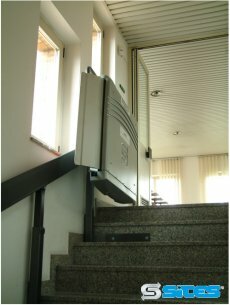 Available in various sizes, with facing, adjacent and front points of access. 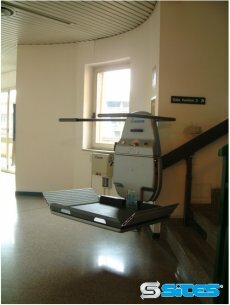 Maximum hygiene and cleanliness guaranteed by the dry execution of the rail. 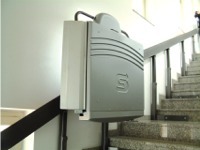 ArcoLift Platform Stairlift is ideal for installations both indoors and outdoors. 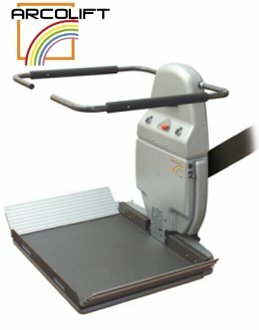 Modem 56 kb = 3 min. 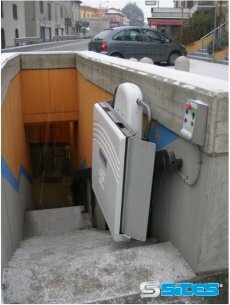 ADSL (256 Kb) = 45 sec.